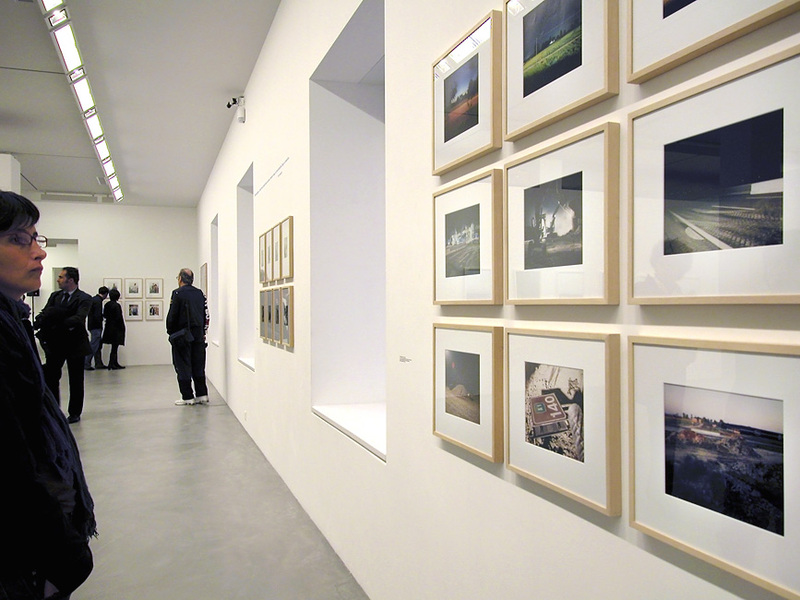 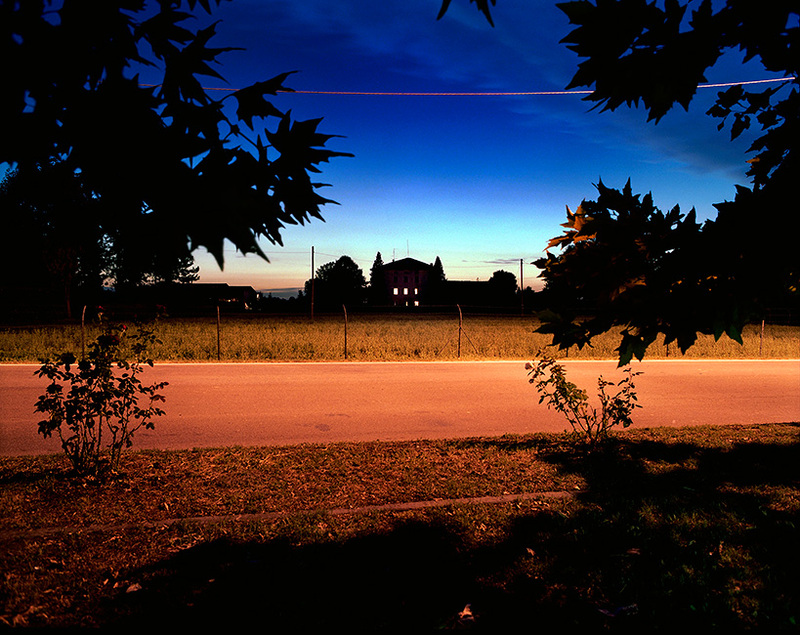 I believe in photography as a staging of reality, from which I never expect any answers. 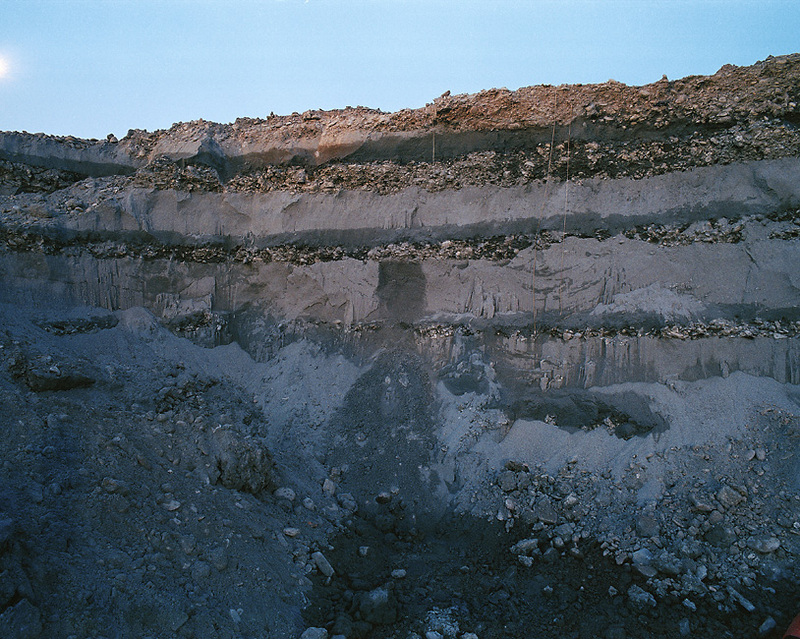 This belief has led me to visit some demolition and reclamation sites in Italy, large tracts of land that are being transformed and salvaged and where many interests are concentrated. 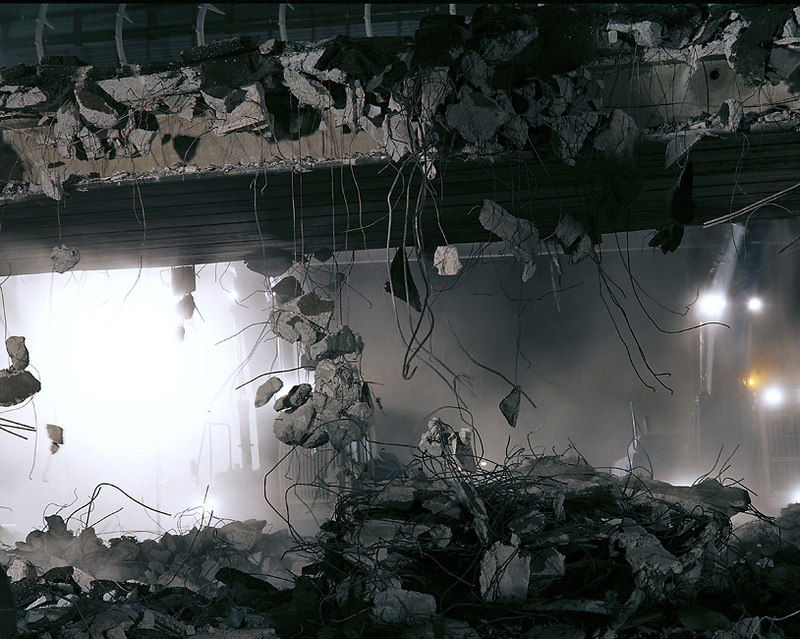 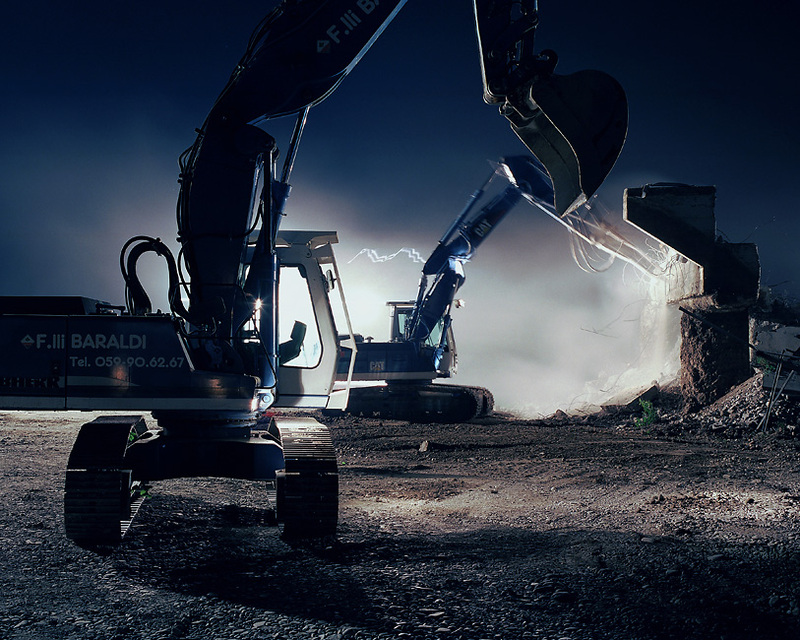 It is no coincidence that one of the leading international construction companies is specialized in controlled demolitions and that buildings are becoming obsolete more and more quickly. 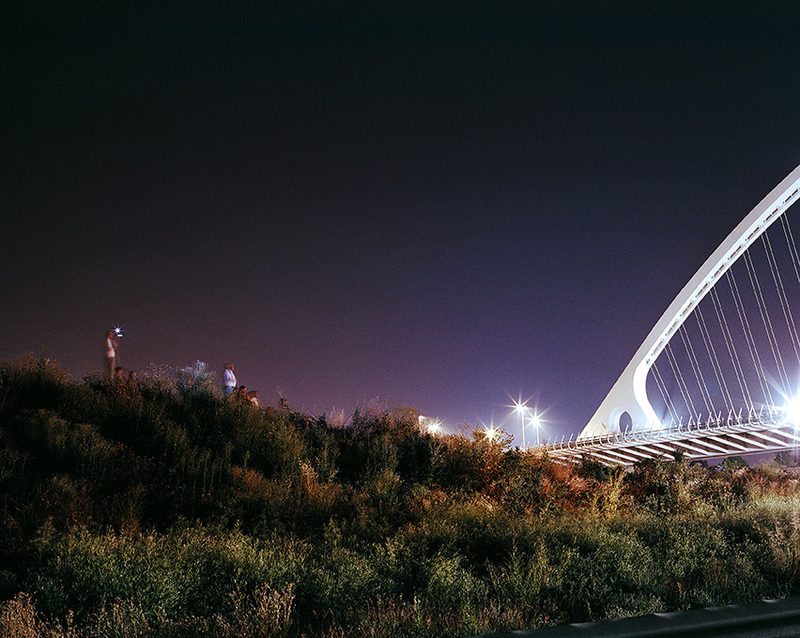 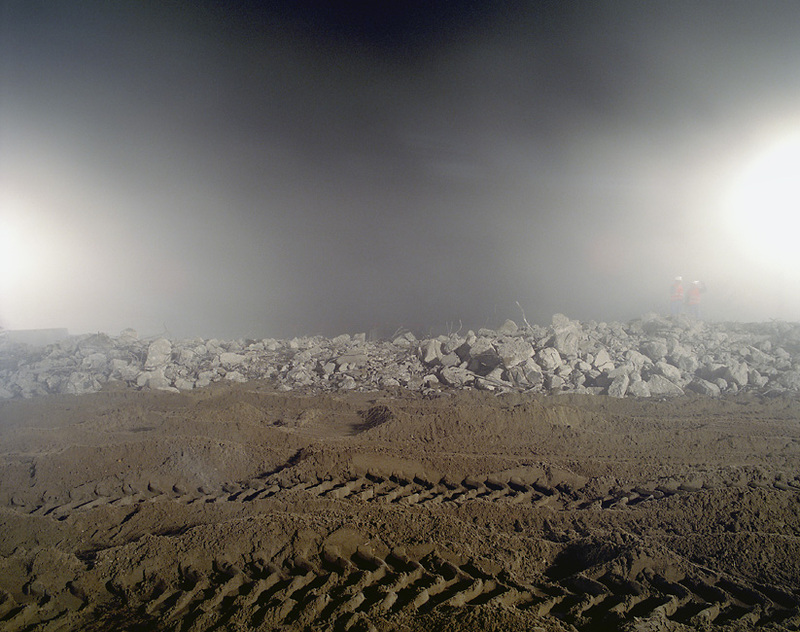 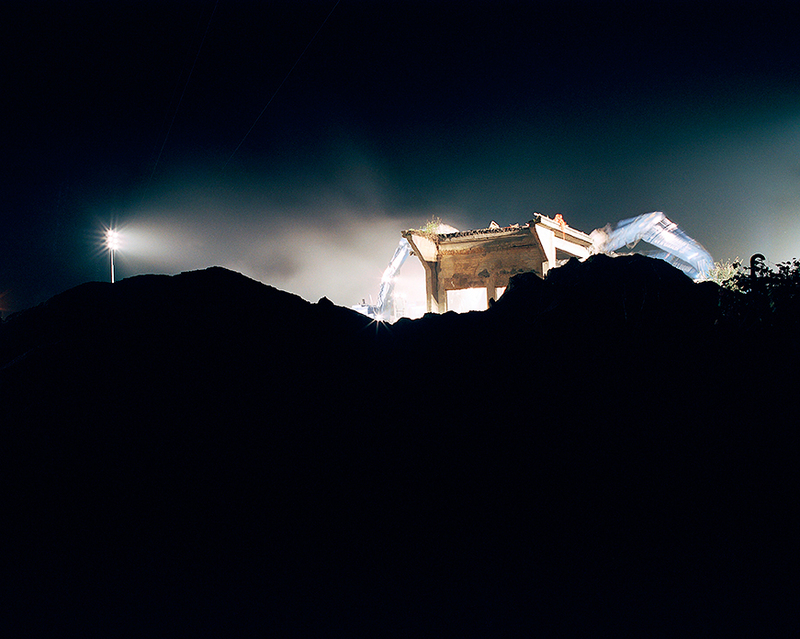 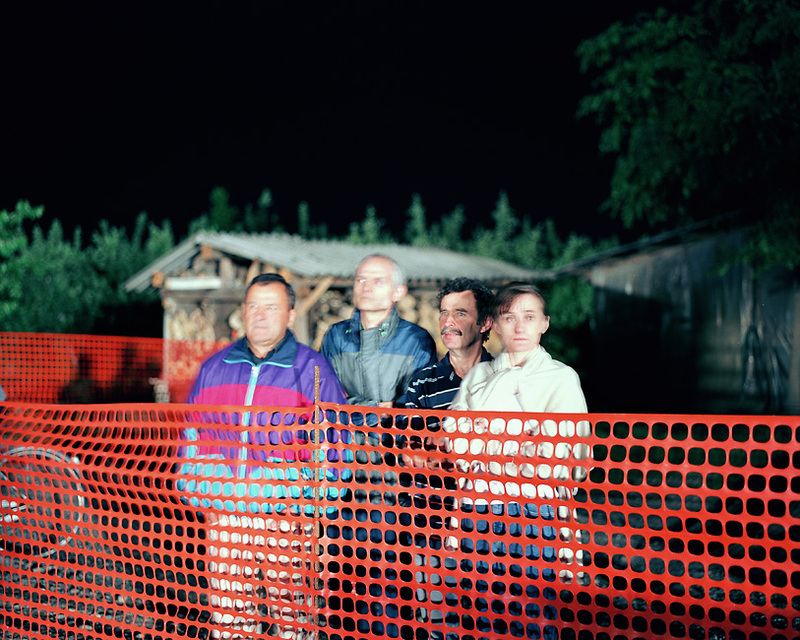 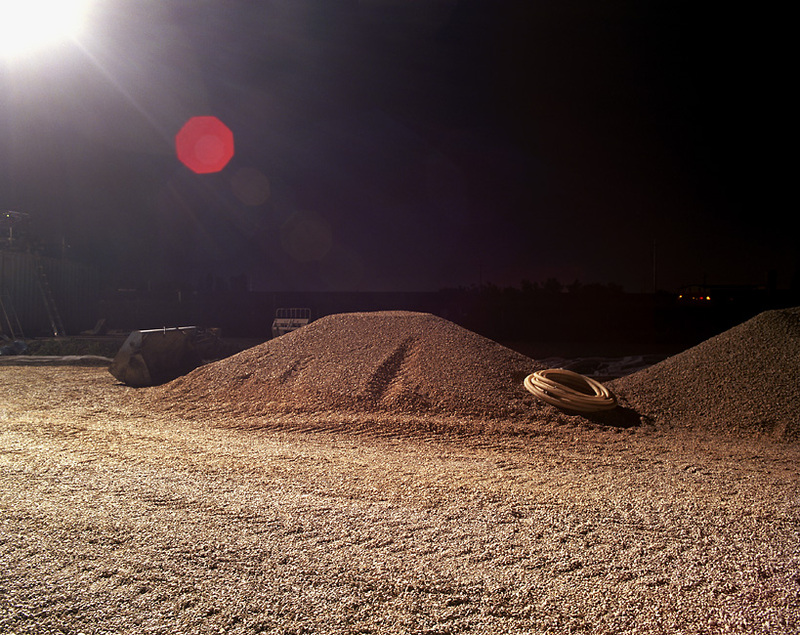 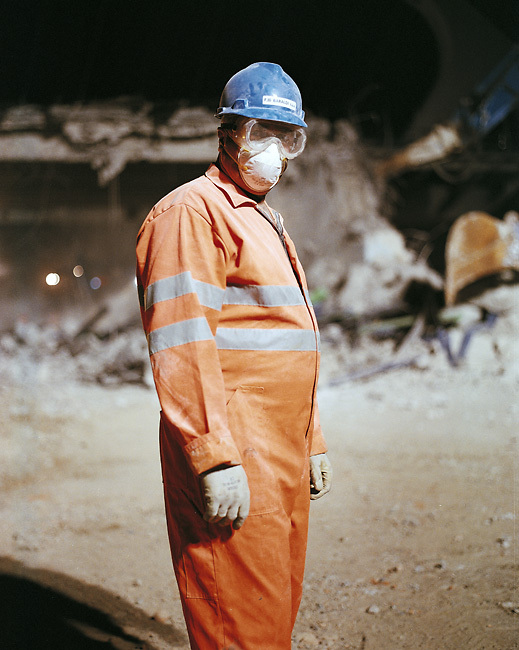 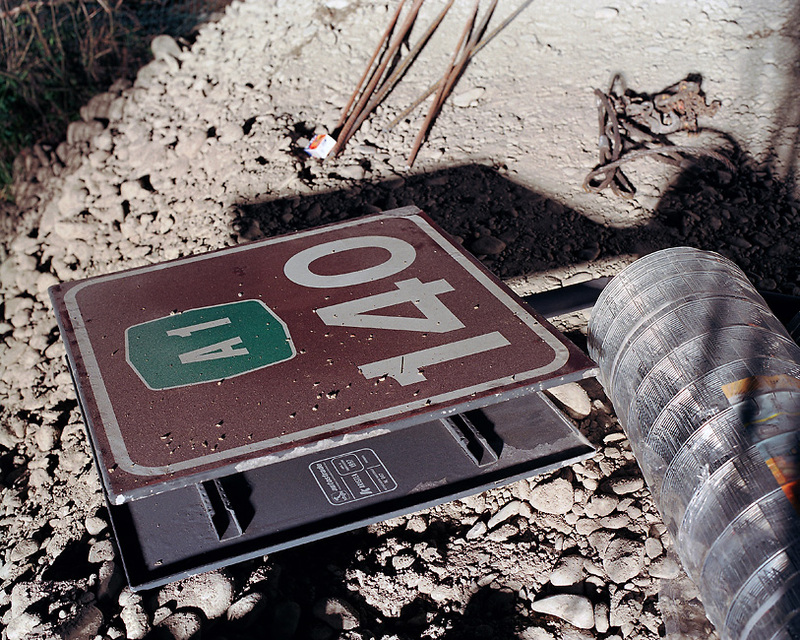 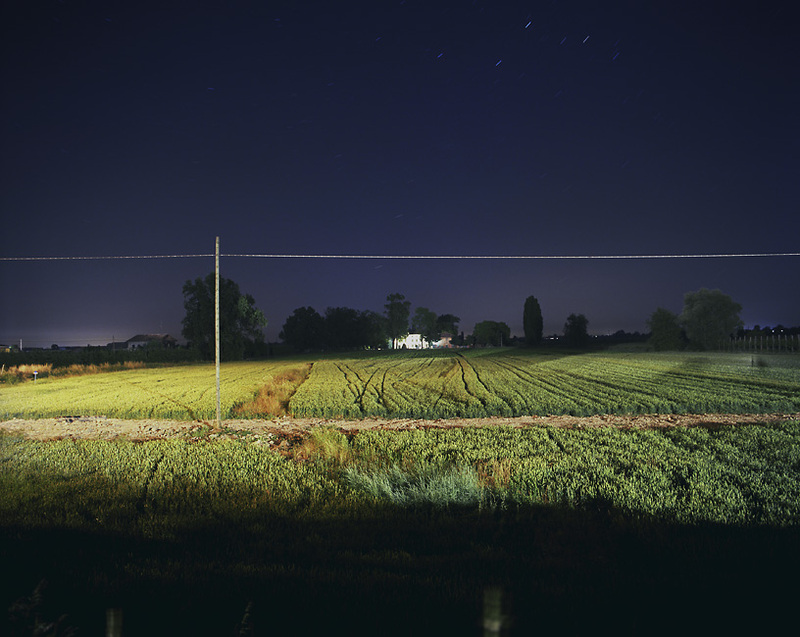 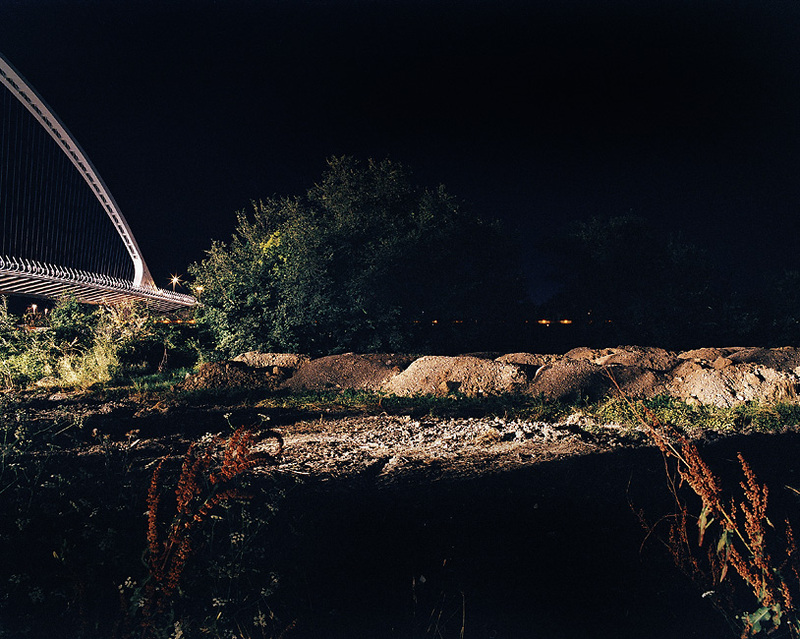 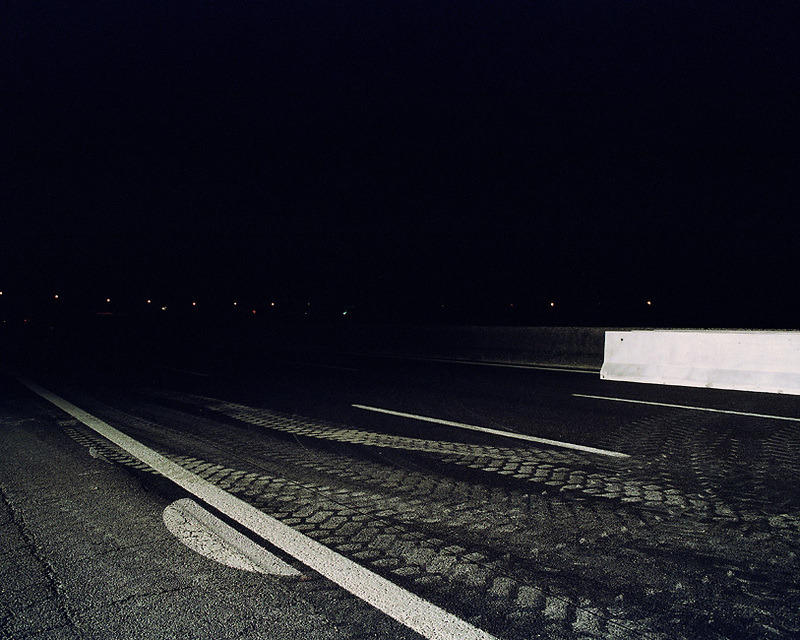 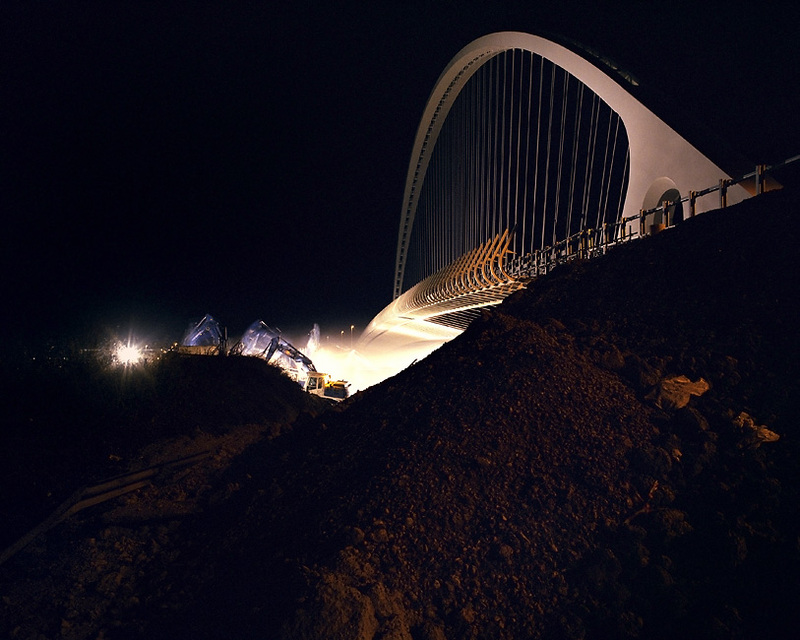 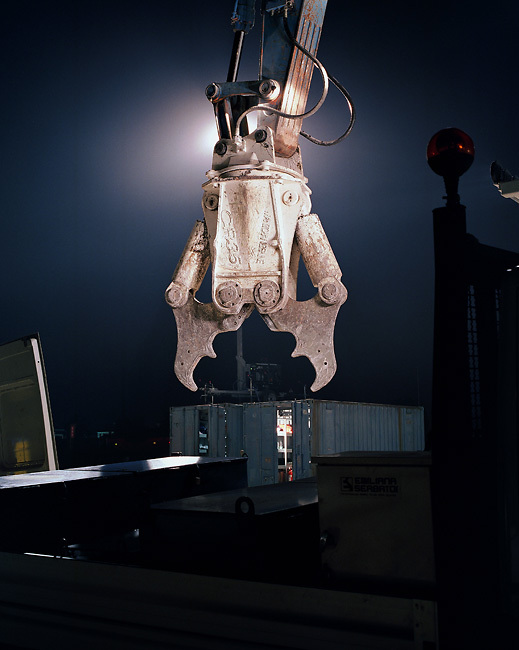 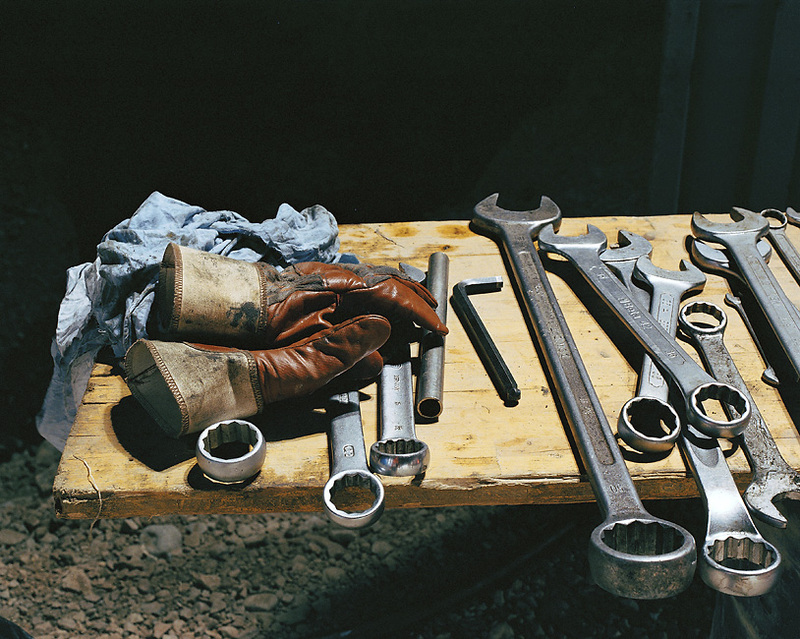 The series of photographs entitled “Tutto in una notte” (All in one night), taken between 2003 and 2006 during the night-time demolition of some bridges on the A1 Milan-Bologna motorway in order to make way for the new TAV high-speed railway line, is a work about time. 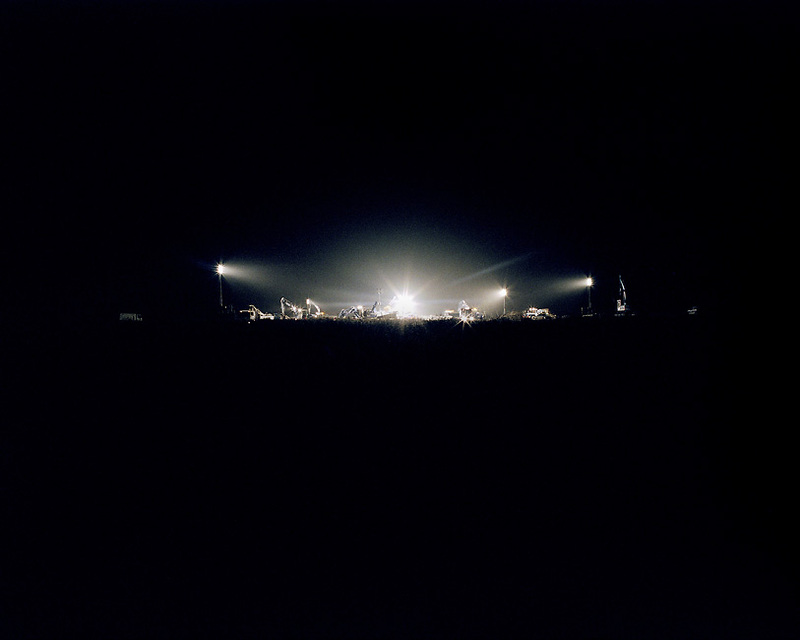 The time/limit of the demolition, which must be carried out between 10 pm on Saturday and 6am on the following Sunday, when motorway traffic is stopped in both directions, but also the suspended and dilated time of a theatrical play without rehearsals or reruns, whose principal actors are men and machines.